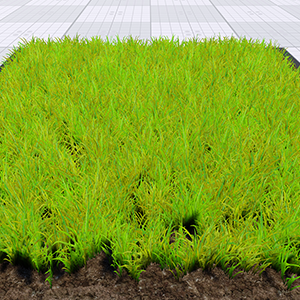 A grass_base material is used to create realistic animated grass, plants and flowers. 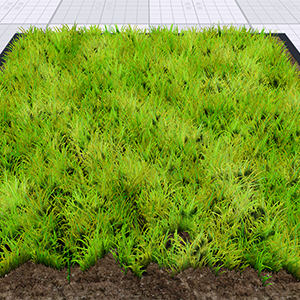 It is applied to ObjectGrass. Auxiliary pass is used for writing an additional texture into an auxiliary color buffer. Detail information on the pass can be found in the Rendering Sequence article. 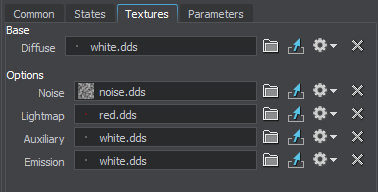 Enabling this option activates an additional Auxiliary texture and Auxiliary parameters. 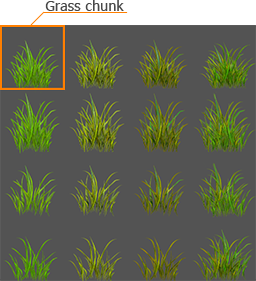 Default - grass quads are rendered as a plain geometry and are turned randomly. Billboard - grass quads are rendered as billboards and always face the camera. Disabled - animation is disabled. Default - standard animation is enabled. 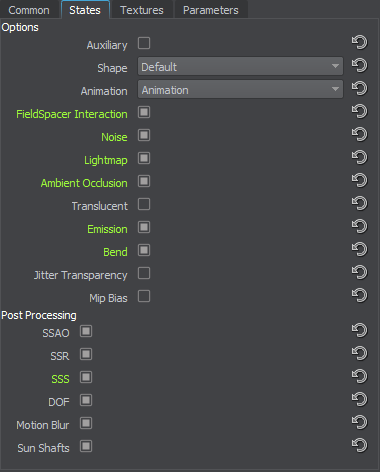 Field Animation - standard animation is enabled. 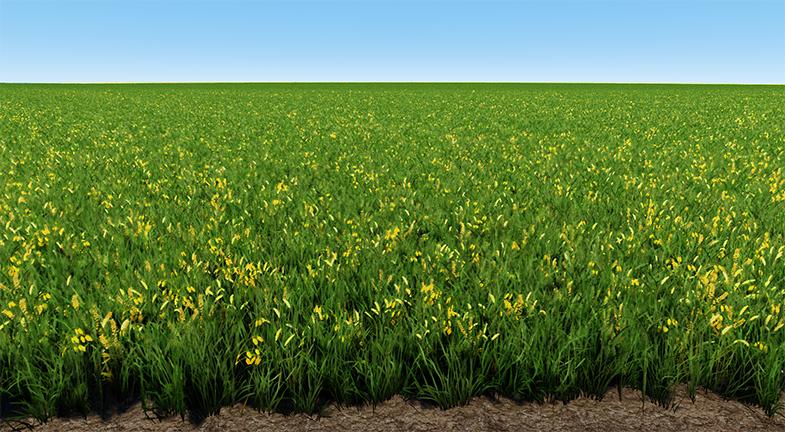 Besides, objects are also influenced by FieldAnimation. Enabling this option activates additional Animation parameters. FieldSpacer interaction option enables interaction with FieldSpacer objects. 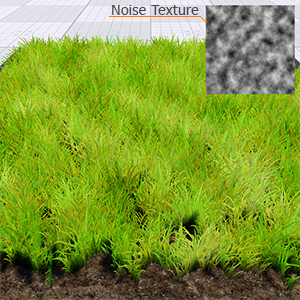 Color noise activates a spatial color noise texture, so the grass field is colored differently according to it. 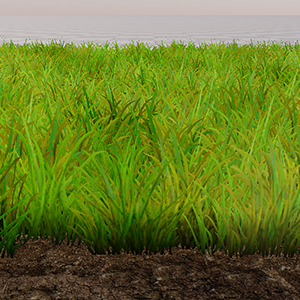 The noise can add irregularity to the color of the grass field or it can color the grass. Enabling this option activates the additional Spatial noise texture and Noise parameters. Light map activates an additional light map texture therefore specifying that the material will be rendered lit by it. Color is multiplied by the light map and the ambient color. 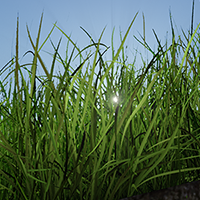 Enabling this option activates the additional Lightmap texture and Lightmap Scale parameters. 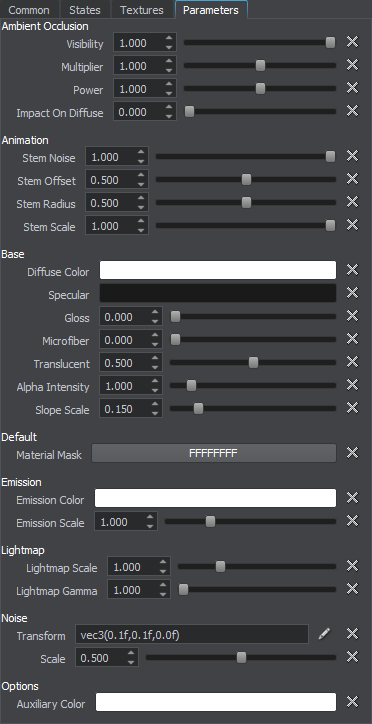 Enabling this option activates the additional Occlusion scale parameter. Translucent activates an additional translucent texture. Emission activates an additional emission texture. It is used to simulate glow from extremely bright surfaces, therefore imitating real light sources and highlights. Bend activates an additional bend texture and bend scale parameter. It is used to bend grass according to the mask. The horizontal row can have up to 4 chunks. The vertical column can have any number of chunks. The chunks in the column represent the variations of the grass of the particular species (thinner, thicker, tangled, etc.). The chunks of the column are randomly spread across the area. 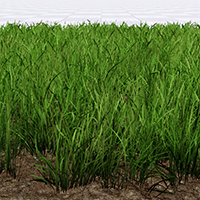 The alpha (A) stores transparency information and defines which parts of the grass chunks will be rendered colored and which ones will be cut by means of the alpha test. The chunks of the diffuse texture can be rendered according to a mask texture. In this case, each chunk of the horizontal row will correspond to the red, green, blue and alpha channels of the mask (see details). The texture is 3-channeled (RGB). Dimensions of the texture should be equal to some power of two (for example, 1024 × 1024 , 2048 × 2048 and so on). 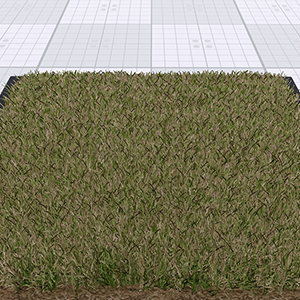 Dimensions of the texture should be proportional to the terrain size. 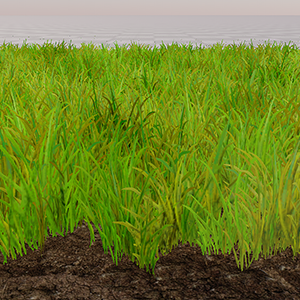 For example, if you have the 4096 × 4096 terrain, the texture should not be256 × 512 . 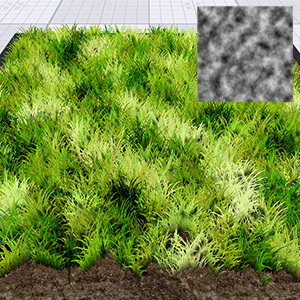 Dimensions of the texture should be chosen so that to get the result of appropriate quality after mapping pixels to the terrain. 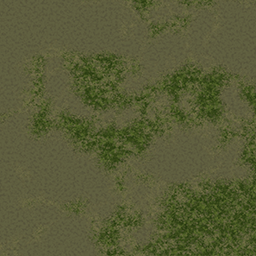 For example, if you have the 4096 × 4096 terrain and the1024 × 1024 texture, 1 pixel of this texture will be mapped to cover 4 units of the terrain. 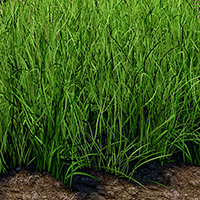 If such quality is enough, you can use this texture. Otherwise, you should create a new one of an appropriate size. 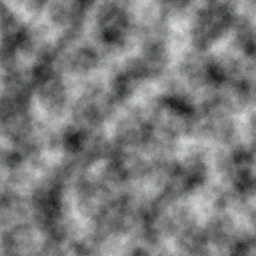 The texture is present only if Color noise is enabled. Lightmap texture stores pre-computed light information. This texture is present only if Light Map is enabled. Translucent texture stores information on material's translucency.. This texture is present only if Translucent is enabled. Emission texture stores information about the light emission. It is blended additively over a texture, so areas which do not glow at all should be pure black on the glow mask, and any brighter colors will appear to be emitting light. The RGB values store information on a glowing color. White color indicates that the area is glowing. Black color indicates that the area is not glowing. The texture is present only if Emission is enabled. 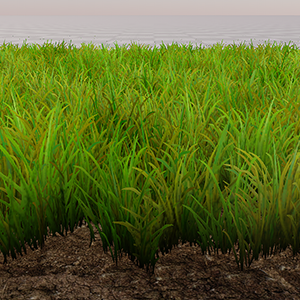 Bend texture stores the grass bending mask. R - bend intensity values. The texture is present only if Bend is enabled. All the parameters have default values, which can be replaced by your own ones. 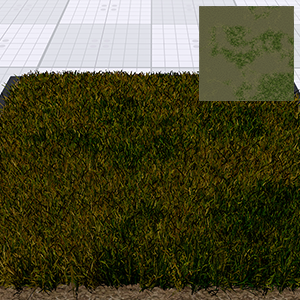 Diffuse texture color is the base color of the grass surface. Specular is a color picker to choose the auxiliary specular color. 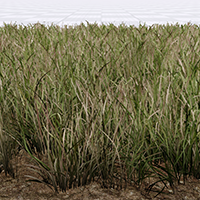 It can be used for specifying different specular colors for one texture or modifying the texture color on the spot. Gloss is a coefficient modifying the size of the highlight. Low values imitate wider highlights, typically appropriate to create diffuse reflection from mat surfaces. High values imitate pinpoint highlights, typically appropriate to create uniform reflection of light rays from glossy surfaces. Microfiber is a coefficient to scale the intensity of the microfiber effect. This parameter creates an effect of the napped surface. The higher the value, the higher the microfiber effect is. 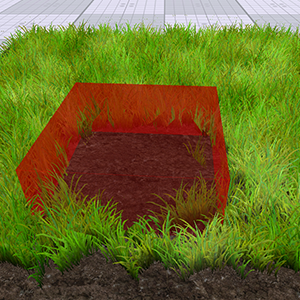 A coefficient to scale the translucent effect, which permits light to pass through the grass blades, but diffuses it so objects behind the grass blades are not visible. The higher the value, the more translucent the material is. 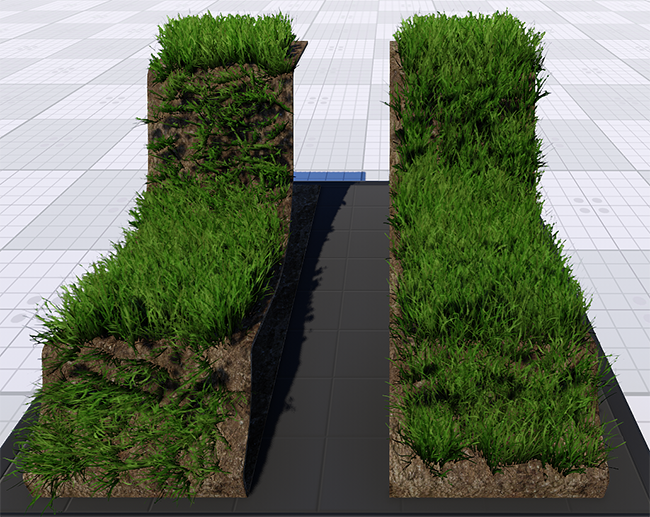 A coefficient to scale the value of the alpha channel of the grass diffuse texture. The higher the value, the bigger areas of the texture are rendered. 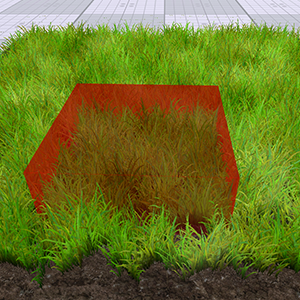 A coefficient to scale the inclination of grass polygons. By the minimum value of 0, inclination of the grass polygons coincides direction of the normal of the polygon on which the grass grows. 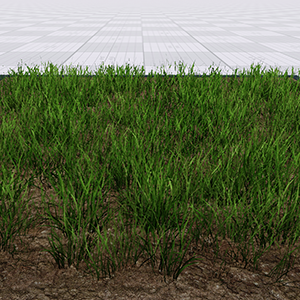 When increasing the parameter value, the inclination of the grass polygons relative to the camera increases. Coefficient for mip maps adjusting. Scale of texture coordinates along the X and Y axes. 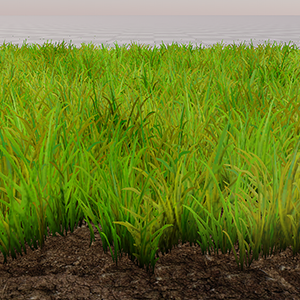 For example, by the values 1;1 the texture will cover the whole area with the grass. And by the values 2;2 the texture will be repeated four times on the surface. An offset of the texture respectively to its initial position along X and Y axes. For example, by the offset of 0.5 along the X axis the texture will be repositioned to the right (so the left edge of the texture will be rendered in the center). Color is a color multiplier for the emission texture. Intensity is a coefficient to scale intensity of the emission texture. 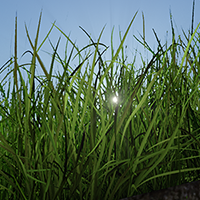 The higher the value, the lighter and brighter light areas of the emission texture are. Intensity is a coefficient to scale the intensity of the light map illumination. The higher the value, the brighter the illumination is. Gamma parameter specifies the gamma of the light map texture. 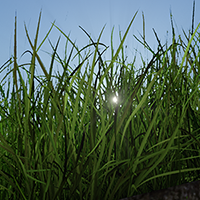 Visibility parameter specifies how the AO has influence on grass. 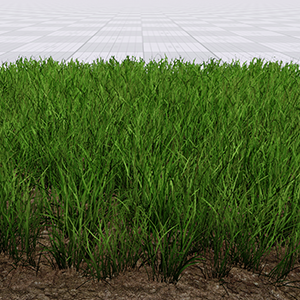 Power parameter sets the rate of ambient occlusion appearance on the grass. 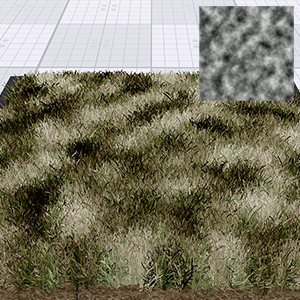 On Diffuse shows how ambient occlusion affects the grass diffuse texture. Color is a constant color for the auxiliary rendering pass. Intensity is a coefficient to scale bending of the grass. The higher the value, the more significant the bending is.